HONT can provide reliable strain relief cable gland for you. It can give you the competitive price and the best product. Choose HONT, it won’t let you regret! Cable gland is also named of cable connector. It is used for the connecting of two wires. Especially, when users lay the wires, the wires are separated. You can use this connector to join them together. It can make the wires to become a whole system. Each joint is the cable connector. The middle part of the cable gland is called the middle connector. And the glands at the ends of the lines are called then ending connector. Cable gland is used for connect, lock and fix the wires. It can play a role for the wires in the resisting to water, dust and impact. Strain Relief Cable Gland is made by the material of UL approved PA 66. It has the resistance level to the fire of 94 V- 2. This kind of gland add a structure of screw type structure. This structure is impact resistant and strain relief. This special design is used for the manual or mobile devices. These devices’ wires are easy to bend. Some bending will lead to the damage to the devices. So if these devices have the strain relief cable gland, they can not be damaged in the wires. The normal working temperature range for it is from -40℃ to 100℃. The short time temperature for it can reach to 120℃. There is a special design between claw and sealing. The nut of thread-locking sealing has the loosen lock. It can enlarge the range of the clamping wires. And this strain relief cable glands are waterproof, anti-dust, anti-salt, resistant to acid and base. And it is anti-alcohol, anti-oil. At the same time, it has good tensile strength. Besides, it is convenient for simple insulation. The main function of the strain relief cable connectors is to make the lines smooth. And it also makes the wires keep sealed. Besides, it can ensure the insulating function. The join can make the current go through safely. If there is some bad sealing. It will result in the moisture into the inside of the cables. The insulation function will reduce. Put wires into the body directly then lock the thread. There is no need to depart the nut, before putting the wires into the body. They are widely used in the electric power and electronic controlling equipment. And the war industry, petroleum and chemical industry also use them. In addition, they are applied in the fields of anti-explosion, textile, medical treatment, air communication, mechanical equipment, measuring controlling technology and etc. HONT can give you the best strain relief cable glands. HONT is an independent and professional low voltage electric component supplier.Strain relief cable glands is one of our main products. We have developed very fast from a small scale to a big enterprise during these ten years. It is now a company with high level quality, sincerer service, exquisite equipment, devoted teams and advantaged prices. HONT expects your visiting to build the mutual profit relationship. The company provides high quality strain relief cable glands. We also are leading cable tie Manufacturer. We have been carrying out the concept of Reliable, Persistent, Steady and Safe. It has guided us getting through many hard times. We are always putting the demands of our customers at the first position. It is in order to obtain the biggest satisfactions of our customers old and new. Details decide the success of one enterprise. Each little detail affect the high level of quality. Cable gland can be used in many kinds of styles. There are also many kinds of classifications. Now let me make a small introduction to you. There are many places where the users will use the product. It can be divided into indoor type and outdoor type, according to the using places. The raw material of the cable glands are also very various. So according to the material and the manufacturing process, there are heat shrinking type, drying type, contraction type and epoxy injection type. The core of the wires are different. So according to the material of the wiring core, the cable joints can be divided into copper cored electrical cable glands and aluminum cored electrical cable glands. The connectors have many materials to produce. There are plastic and metal. The metal connectors can be divided into porous metal cable connector, strain relief cable connectors, double lock connector, plastic pipe cable glands and metal pipe cable glands. The rules to connect the strain relief cable connectors are very important. Here are several steps for your reference. 1. The Connecting conductors requires low resistance and sufficient mechanical strength. And there should be no sharp angle. They can not appear at the junction. Strain relief cable gland is commonly used in conductor connection of medium and low voltage cables. Attention should be paid to the joint. (1) The connector should have appropriate conductivity and mechanical strength. (2) The gap range between the inner pipe of the connector and the outer pipe of the wires should be from 0.8 mm to 1.4 mm. (3) The resistance of the joint should be no more than the 1.2 times of a conductor with equal cross-section. And the copper cable gland should have the tensile strength no less than 60 N/ mm². (4) Before the connecting, the outer surface of the conductor wires and the inner surface of the joint pipe should be coated with conductive adhesive. And the workers should damage the oxide film with steel wiring brush. (5) The sharp corners and rough edges on the conductors of connecting pipes and cores are polished smoothly with a file or sandpaper. The cable body has an inner shielding layer. So the inner shielding layer of the conductor part of the pressure nozzle must be restored when making the joint. The inner semiconductor shielding of the cable should be set aside. it is to make the inner shielding of the connecting head on the connecting tube interconnect with each other. And this ensures the continuity of the inner semiconductor. It will make the field strength at the joint nozzle uniformly distribute. External semiconductor shielding is a semi-conductive material. It acts as a uniform electric field outside the insulation of cable and cable joints. Like internal semiconductor shielding, it plays an important role in cable and cable joints. The external semiconductor ports must be neat and uniform. And smooth transition with insulation is also required. Besides, the winding of the semiconductor band in the cable joint is overlapped with the external semiconductor shielding of the cable body. During construction, the potential distribution on the whole cone surface is equal. When making the cross-linked cable reaction cone, special cutting tools are usually used. We should slightly heat it with a quick knife. After basic shaping, 2 mm thick glass is used to trim and scrape. Finally, sandpaper is used to grind from roughness to fineness until smooth. The function of metal shield in cable and strain relief cable gland is mainly to transmit short-circuit current of cable fault. And it is also used to shield the interference of electromagnetic to nearby communication equipment. In operation, metal shield is at zero potential under good grounding state. When cable fault occurs, it has the ability to transmit short-circuit current in a very short time. The grounding wire should be welded reliably. The metal shield and armor band on the body of the box cables at both ends should be welded firmly. The grounding of the terminal should be reliable. Sealing and mechanical protection of joints are the guarantee to ensure the safe and reliable operation of joints. Water and moisture should be stopped from infiltrating into cable joints. In addition, joint protection grooves or cement protection boxes should be built at joint positions. Why some strain relief cable glands will get hot? The installation of the connectors will need the electrical workers to pay more attention. Sometimes, people will find the cable joints is very hot. It is usually because that the electrical workers are too careless when they are installing the strain relief cable glands. Now I will share the some possible factors with you. The workers may not use the sleeves where there is a need to use the insulation sleeves. And they may not use the junction box where it is needed to use the junction box. Even in some places, it is required to use the methods of twist connecting. But the workers just use the hook shape connection instead. This can not meet the standard. And this wrong connecting method will make the resistance get very large. And this will make the connector keep generating heat. The heat will make the panel nearby get drier and drier. Some will get carbonized. And they will lead the fire accidents. The heating of the strain relief connectors will result in the big loss of the power energy. And it will also affect the normal work of the electrical and electric equipment. Some will lead to the electrical current getting bigger. The service life of these electrical equipment will get shorter. Even some will make ongoing production, scientific research, medical operations and other activities get a sudden stop. This will lead to fires and electric shocks and so on. The wrong connection will result in incalculable losses. What do we need to pay attention to when we are connecting the wires? So it is very necessary to know some tips when we are installing the connection of the wires in the electrical system. 1. General circuit equipment, there are signals of power supply and load signs above. In the actual wiring process, join the wires according to the above signs on the line. Remember that do not connect the two wrongly. 2. Control switches or protective wires shall not pass through current transformers. When three-phase five-wire system or single-phase three-wire system is adopted, protective wires must be connected to the cut out fuse at the inlet of leakage circuit breakers. In a single-phase lighting circuit, three-phase four-wire distribution line and other lines or equipment using working zero-line, the zero line must pass through the current transformer. 3. And the transformer has a neutral point directly grounded system. Once the leakage circuit breaker. is installed, the working zero line can only be used as the working zero line after passing through the current transformer. And these working zero line can not be grounded repeatedly. Nor can it be connected with the working zero line of other lines. Electric equipment can only be connected to the load side of the leakage circuit breaker. One end is not allowed to be connected to the load side, while the other end is connected to the power side. 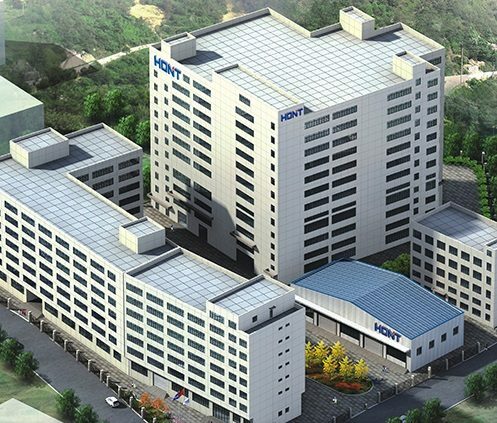 HONT is a professional strain relief cable gland supplier in China. It has a rich and experienced supplying experiences of these wiring accessories. It was established in year of 1997. During the twenty years’ development, the company has got high credit and reputation in the wiring accessories fields. The products are seen in the big supermarkets, stores in foreign countries and cities. It is because the company has a good quality and good service. Its products are such popular and well-sold in these regions. HONT is using all its efforts to gain the satisfy of you, the strain relief cable gland users!